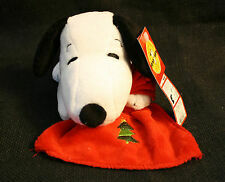 This collectible plush Snoopy is in like new condition with one flaw – the music does not play! The animation still works when batteries are installed but his song does not play. He wears a red knit scarf and red and green fluffy earmuffs. 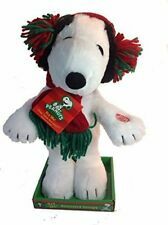 Snoopy & wood chuck plush. Peanuts Christmas. Dan Dee Christmas Snoopy with Santa Hat. 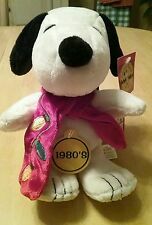 Adorable Snoopy with festive scarf.